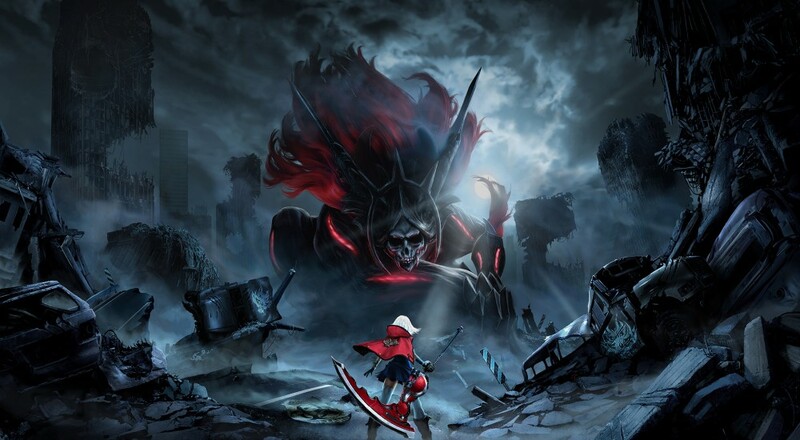 For a genre which feels impenetrable to the common player, the God Eater series has managed to release a couple titles in the last few months. God Eater 2: Rage Burst brings a sequel with improvements to mechanics, but perhaps not as fulfilling on the story side as the original. The key factor is the accessibility this title brings, giving new players a much needed place to start in the hunting game. 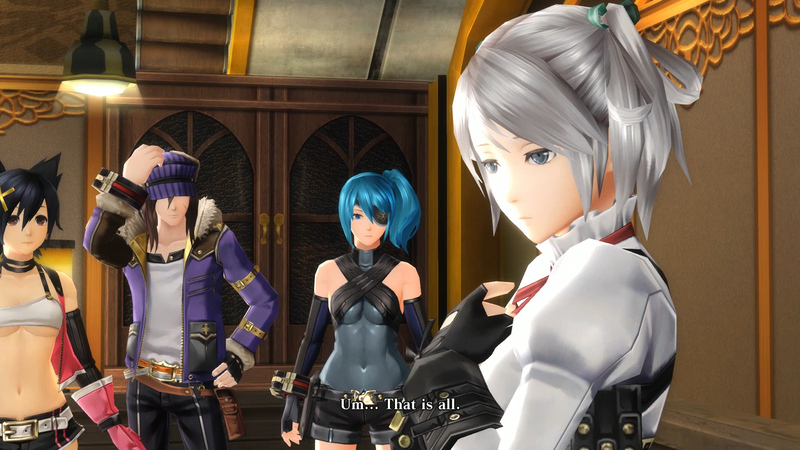 For those who have not been keeping up with the series, God Eater is a hunting game akin to Monster Hunter. The tropes which haunt these types of games are what make people either love or hate them. The cycle of preparing your squad, hunting down gigantic beasts, and repeating said hunt for materials required for the next piece of shiny gear is one that has a certain niche appeal. I’m simplifying here but the grind is real and this is what has kept me away from sticking with games of this nature. 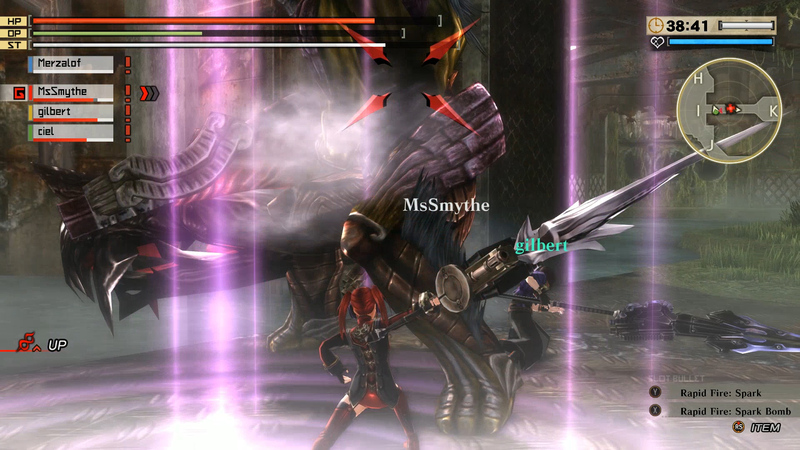 The God Eater series itself plays in the realm of futuristic fantasy. A world sundered by demons called the Aragami and defended by a small group of elite soldiers who wield giant weapons called God Arcs. God Eater 2: Rage Burst features a special forces squad called ‘Blood Unit’, tasked with protecting humanity from the ever growing populace of Aragami. What you need to know going into God Eater 2: Rage Burst is that there are big monsters to hunt down and well, “eat,” in a sense, because otherwise they will take over the planet. Fortunately, if you ever need a refresher on anything, the game provides an encyclopedic sized database you can stuff your nose into. One of the title’s biggest inconsistencies, for me, lies within the strength of the story. I was interested in the plot of the original, but Rage Burst doles out an underwhelming story at a stagnant pace. Twenty hours in and I’m still in the same area, with a couple more characters, and the story has gone no where. It’s worth stating that this time investment represents little to no grinding with a focus on completing story missions. After each mission the story progresses, but at a snail’s pace, and ultimately feels quite drab. I was interested in where the story went onward from the previous God Eater games, but God Eater 2: Rage Burst doesn’t deliver on this front. The gameplay loop for the game goes something like this: 1 . Prepare for your mission. 2. Hunt down one or more Aragami. 3. Once defeated, eat said Aragami 4. Digest materials into beautiful new God Arcs (weapons) 5. Repeat. Now I don’t know what is so engrossing about this simple premise, but God Eater 2: Rage Burst has managed to scratch the hunting itch and package it into an accessible action RPG. 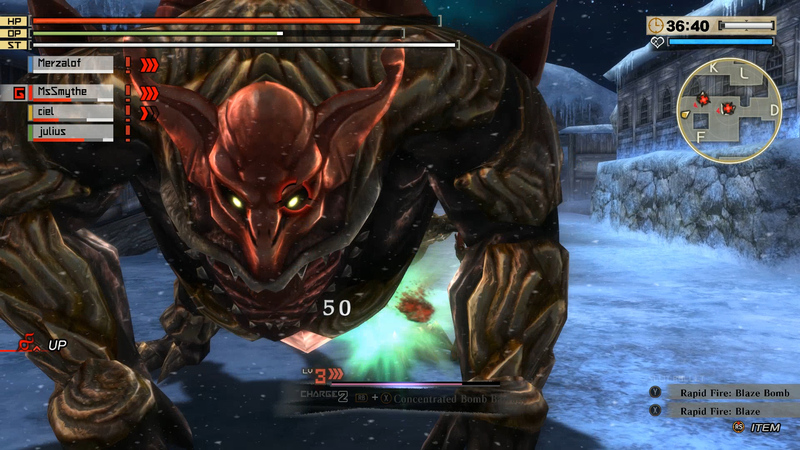 Since the hunt is more combat based versus tracking based (as seen in Monster Hunter), it keeps players engaged. This may be a tradeoff you’re not willing to take if you are a Monster Hunter veteran, but I’d rather spend five minutes fighting and defeating an Aragami than chasing around a beast for fifteen minutes. Page created in 1.6362 seconds.